Apple's announcement of an iPhone 4S left most journalists a bit bored this morning, though the new phone is clearly an improvement over the 14-month-old iPhone 4. One wonders if simply renaming it the iPhone 5 would have generated more excitement. Rich Jaroslovsky of Bloomberg: "We are all going to get tired of the phrase "evolutionary, not revolutionary" very quickly. But that's what it is. There is going to be short-term disappointment over the fact that there's not a new form factor. But I suspect the importance of the changes under the hood, combined with the huge commitment to new software-and-services infrastructure, will become evident with time. And if Siri works as advertised, it could be very significant indeed. Ben Parrof Mashable: "Apple launched a great phone with an incredible feature (the Siri voice assistant). However, what Apple failed to do was manage expectations. There's a psychological difference between an iPhone 4S and an iPhone 5, and it should have done more to quell some of the rumors." 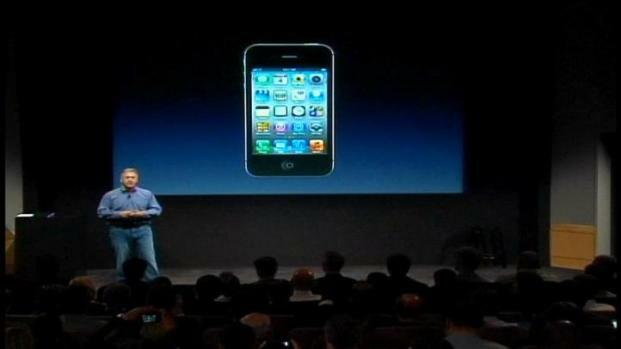 CNBC's Jon Fortt wonders why Apple's Phil Schiller spent so much time on stage. "Got to question why Tim Cook isn't doing this" says Fortt. NPR's Laura Sydell gives Cook a good review: "He's got a nice way about him." Jon Swartz of USA Today simply lamented "Damn, I canceled a dentist appointment for this." Brad Stoneof Bloomberg, formerly of New York Times: "I'll hold onto my $49 iPhone 3GS." By now you've read the new phone has a better camera and faster chip. We're impressed with Apple's solution for a faster connection: two antennas, one for uploading, one for downloading. The company has not been able to match the faster Android connections on Verizon's LTE network. 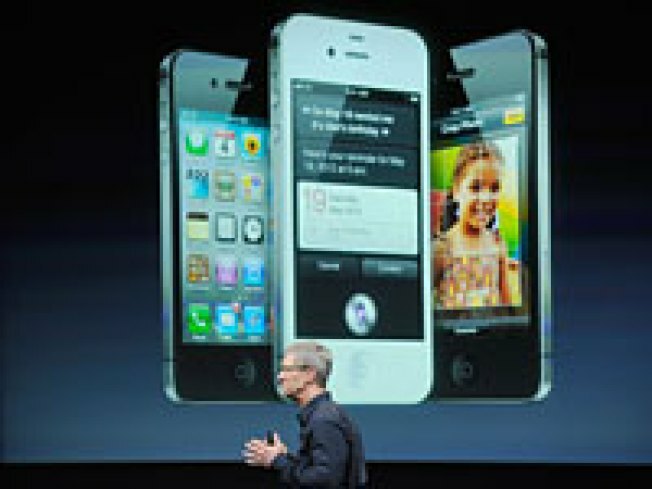 Apple introduces the iPhone4S at its Cupertino headquarters. Also, the voice recognition system "Siri" seems to be impressive. Critics are quick to point out Microsoft has had voice activation for years, most notably in Ford cars. Siri appears to accept a more natural language pattern, though it's hard to tell from a hands-off demonstration.